Turbo charge academic life. 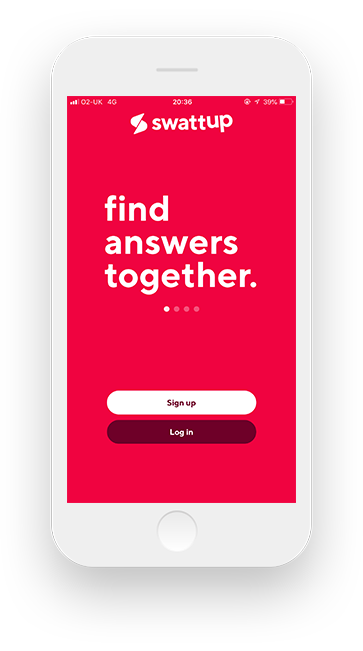 Download SwattUp's Study Smart app now to connect with students and tutors from around the world. SwattUp helps students improve faster by connecting them to other students and tutors through the study smart application.  These tutors and other students guide users through their problems in a way that suits them best. Users can level up by being ‘1-Upped’ by other users for their questions and answers. The more ‘1-Ups’ an answer has, the higher it rides up the list, enabling students to find the best quality answers fastest. Students level up when they achieve a certain number of 1-Ups. Each level unlocks bespoke voucher codes which can be cashed in on and offline. Once you’ve chosen which crowd to ask, submit your question and a photo of any workings or questions you have to the crowd and receive your answers. The crowd can 1-up answers they rate leaving the best answers to rise to the top to make it easy to decide which is the best answer for you. The more you contribute to the SwattUp crowd and the better the quality of your contributions get, the more points you’ll earn. These points will help you level up and unlock new voucher codes to spend at major retailers. Study smart with the SwattUp app and save time to spend on thinking about assignments, rather than finding all the resources required to answer the questions. 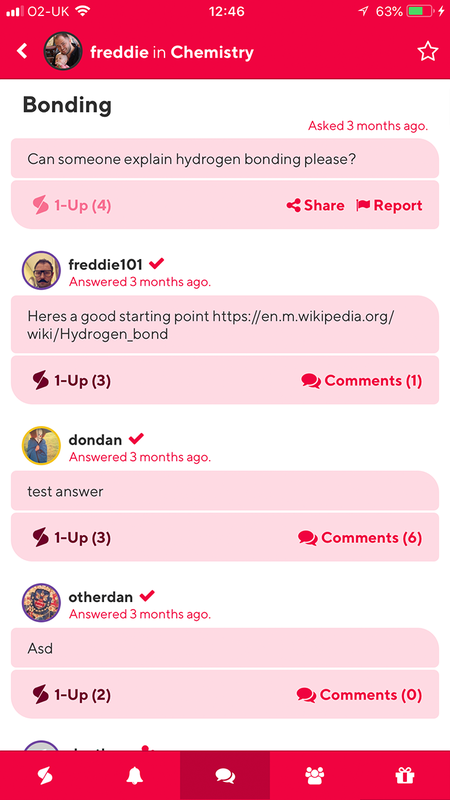 Ask subject related questions to SwattUp’s subject crowds and see the best answers rise to the top as they are voted for (1-upped) by other members of the crowd. Earn points (1-Ups) by generating great content for other users. The better the content, the more 1-Ups you will receive and the faster you will level up. Create your own community crowds to set up a crowd around any discussion topic you like, whether it be only students at your university or your sports club. Hit a certain number of 1-Ups and you will level up. Every level up unlocks a new profile colour to signify your skill level to other users and opens a new set of voucher code based rewards. Type in your secret code to unlock hidden crowds. 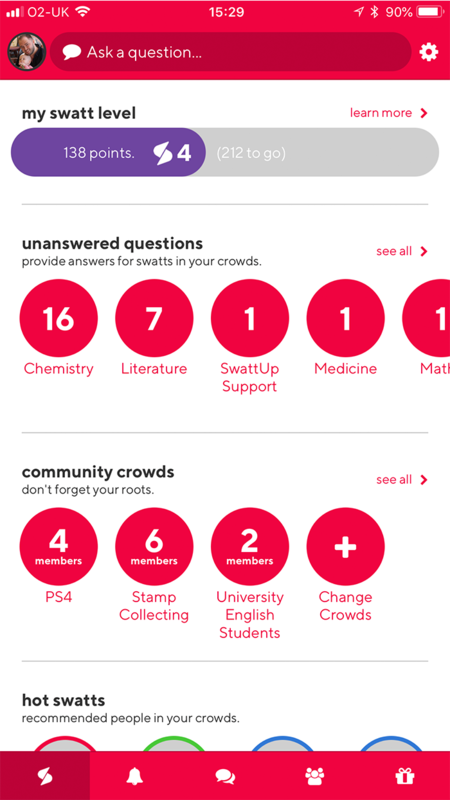 These can be anything from your University’s induction crowd to module specific crowds where you can connect to your class and tutor. Every time you level up you gain access to a new set of voucher code based rewards. 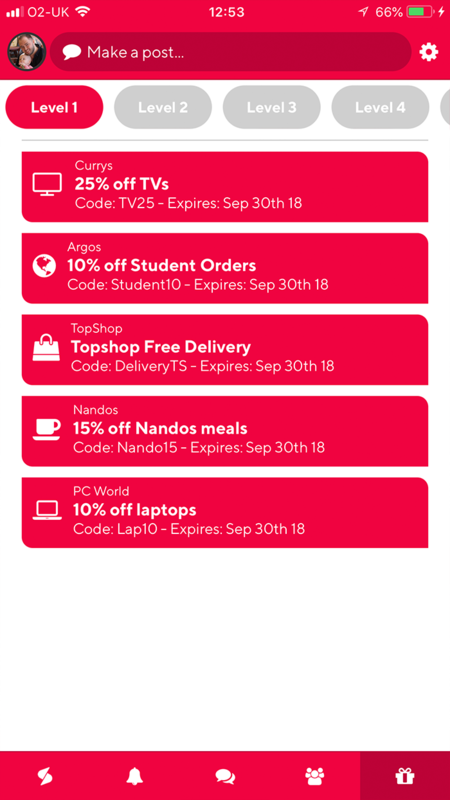 These rewards refresh every week so there will always be something for you. SwattUp Limited is a company registered in England and Wales with company number 1066 7883.